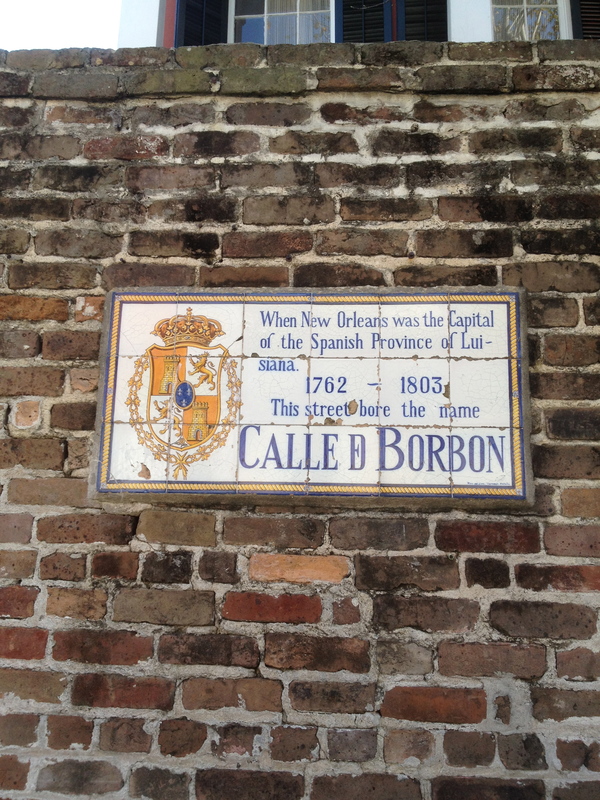 A couple of months ago I got back from a cruise that sailed out of New Orleans. I’d never been there before but I’ve always heard about the food being so good. The locals were quite helpful in giving us tips on what to try while there. 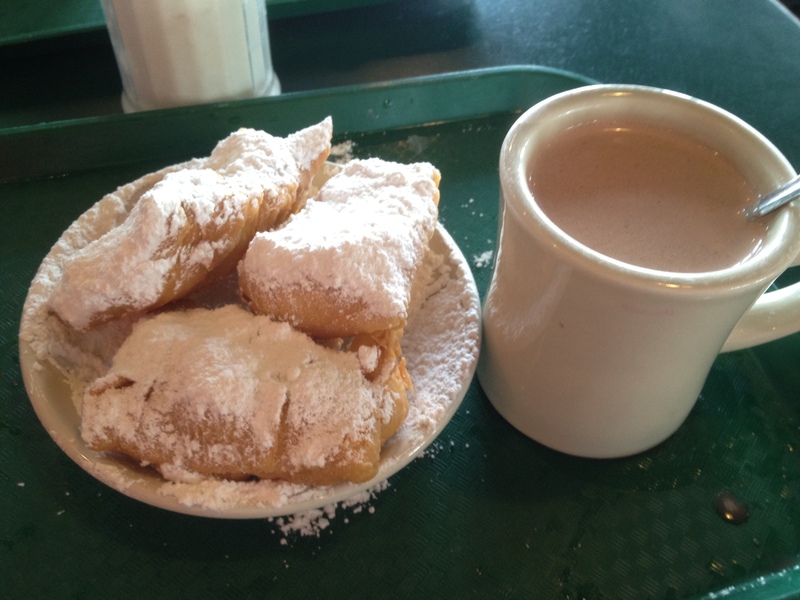 At the top of my list was beignets from Cafe Du Monde which so many people say is a must do. I substituted hot chocolate for the coffee. The beignets were good, though mine were a tad on the greasy side. It was a little messy eating it with all the powdered sugar. On the other hand, my mom who was with me was not impressed. I decided it was something I could try making myself and bought a box of their donut mix to try at home. 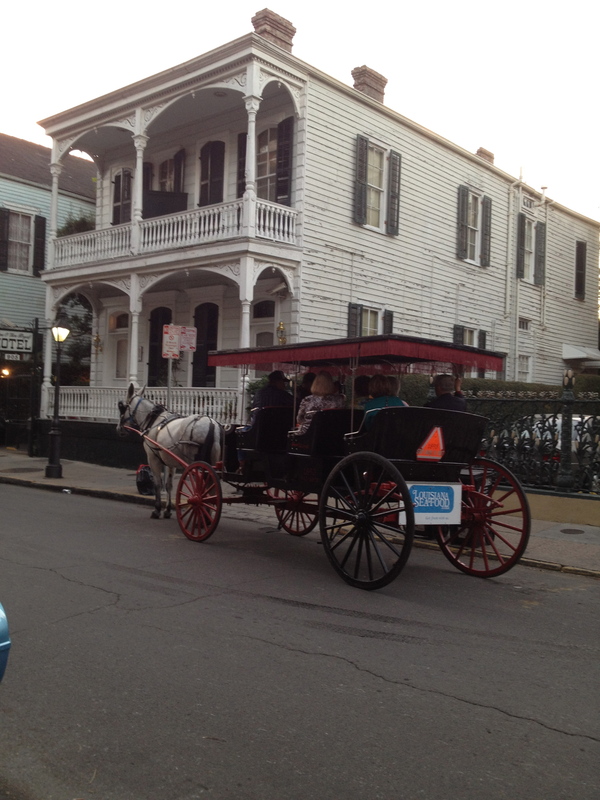 We did the tourist thing and walked up and down the streets of the French Quarter, enjoying the unique architecture and the landmark sites. 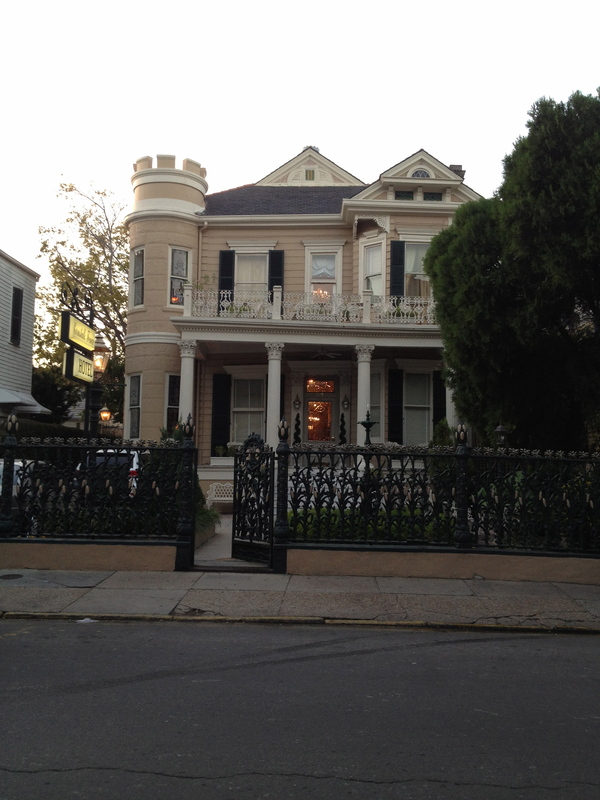 This building, The Cornstalk Hotel was once the home of the first Chief Justice of the Louisiana Supreme Court. It’s now a lovely boutique hotel. Canal Street with it’s lined palm trees reminded me of Miami. 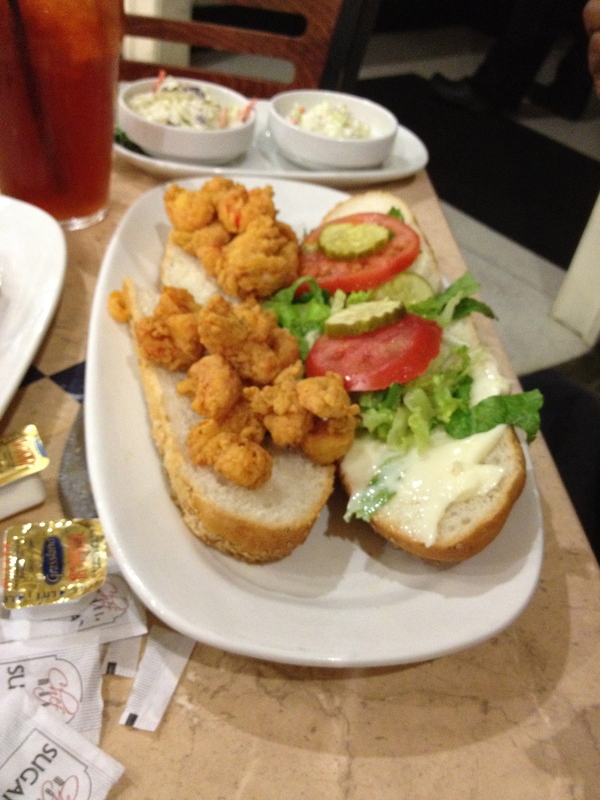 A local recommended we check out Deanie’s Seafood for their po-boy sandwiches. 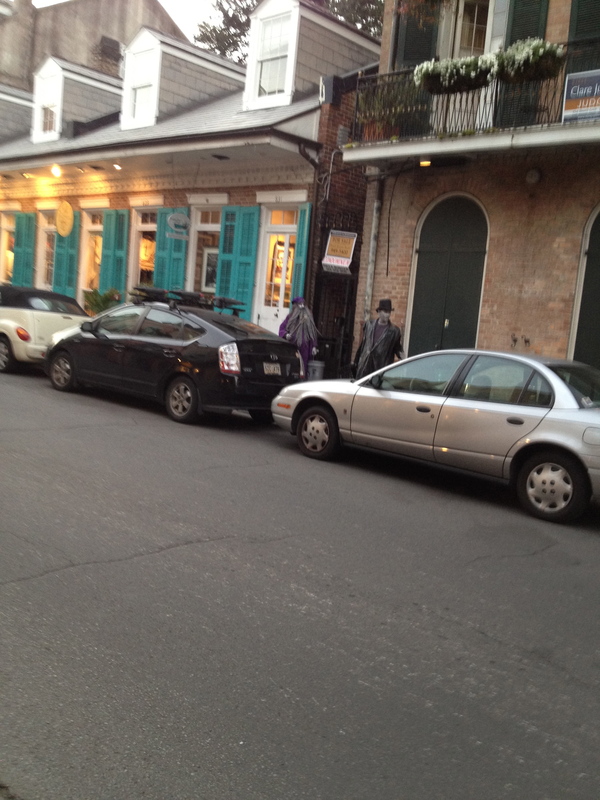 It’s a casual atmosphere with an inexpensive menu in the heart of the french quarter. 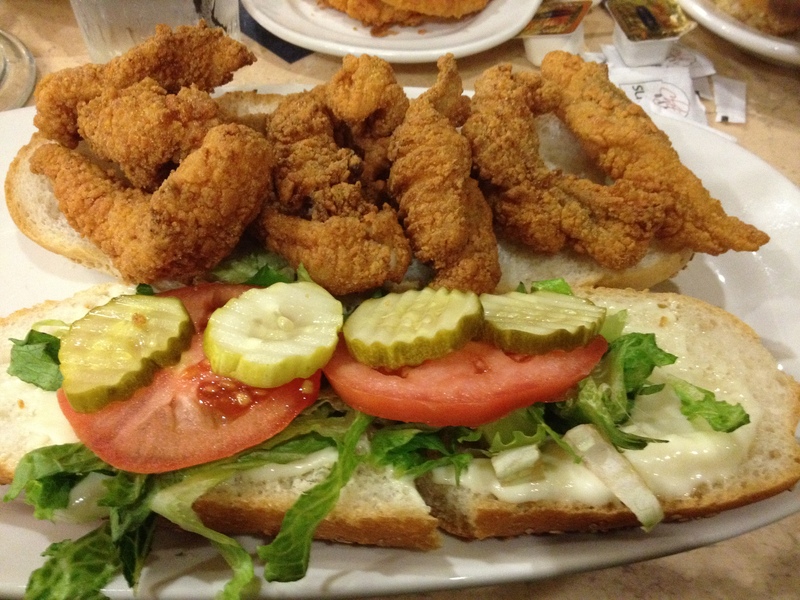 We went there on Halloween night (which was crazy with all the folks in costume) and tried their po-boys. I got catfish, mom got crawfish. Washed it down with a hurricane cocktail which was strong but hit the spot after a long day touring the city. 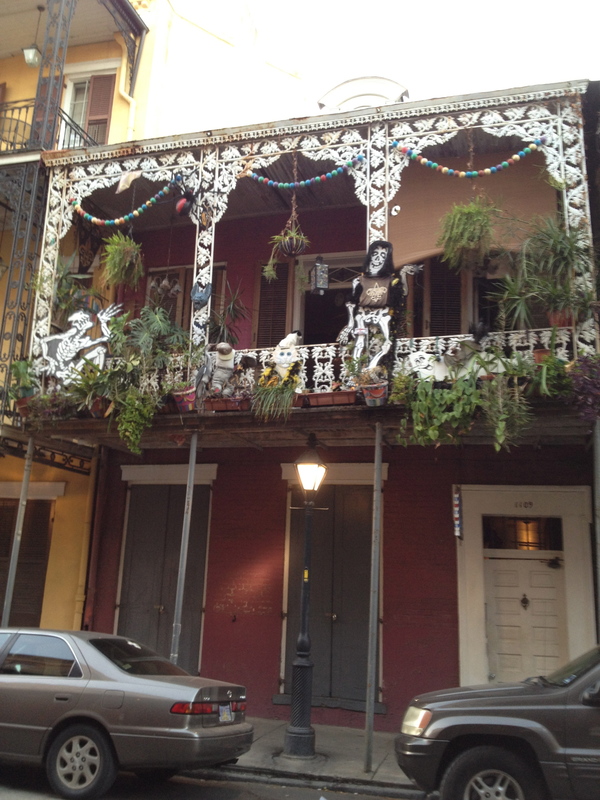 Halloween is a serious affair in New Orleans, as indicated in this well decorated house. The cat in the middle of the photo is live. 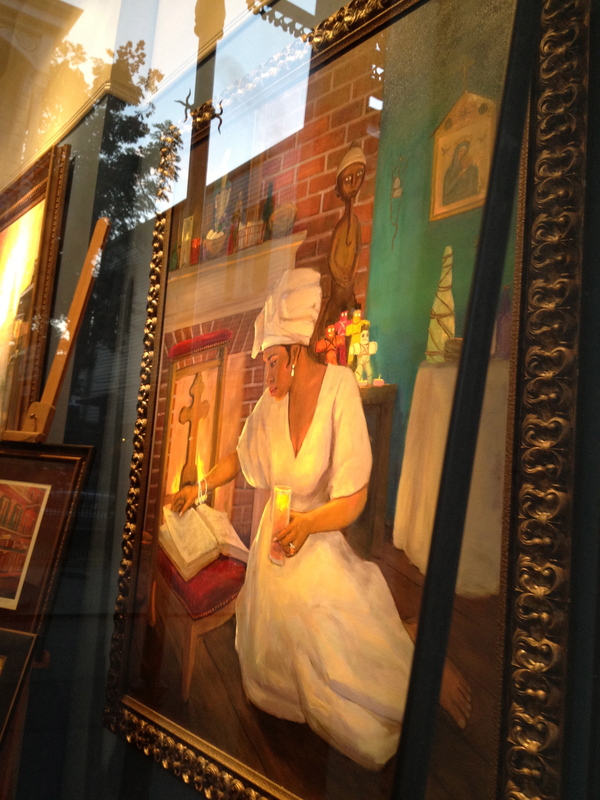 Spotted this painting of Marie Laveau while walking down Royal St.
Way too much seen to be done in one blog. In the next post, I’ll talk about some more sites and restaurants I discovered. Love the photos!! 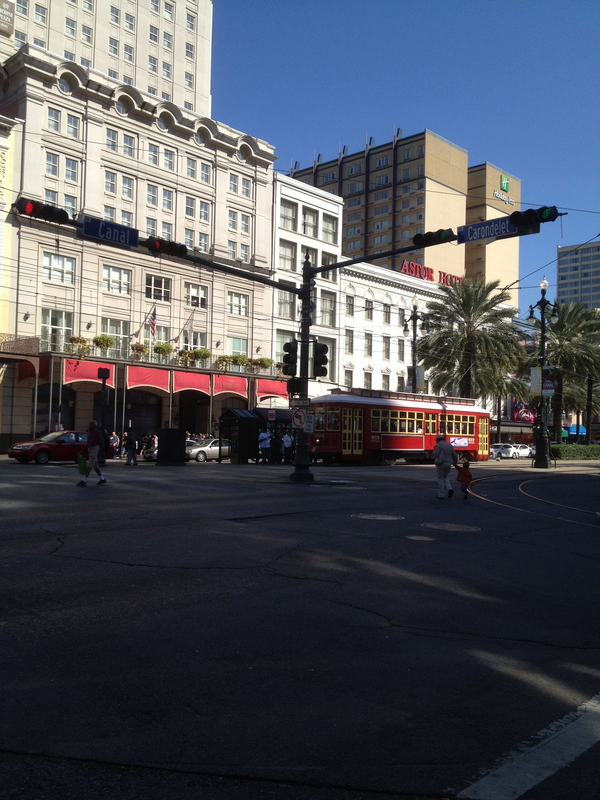 I’ve always wanted to take a trip to N’awlins (Can you say Essence Music Fest?!?)!! !